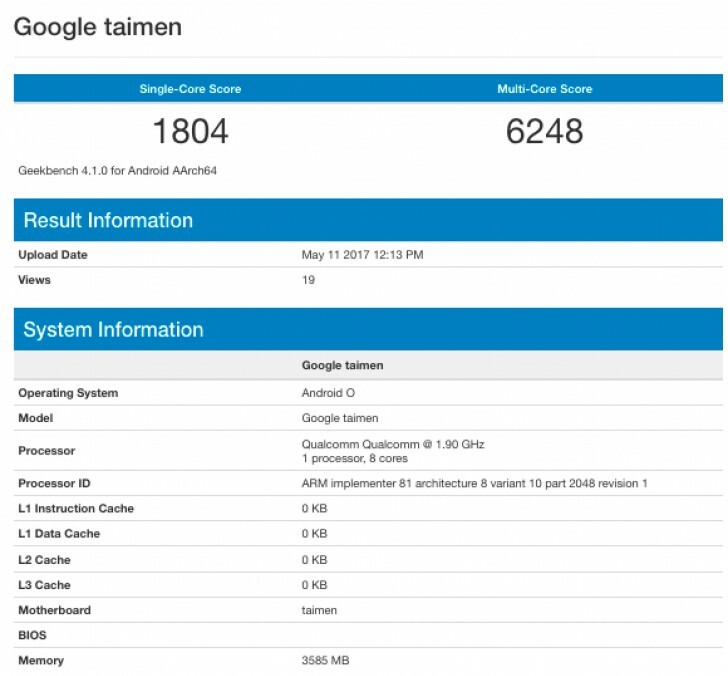 Google Taimen was spotted on Geekbench. Remember google plans to make three phones, taimen, walleye and Muskie the successor to the Pixel Series. Taimen itself was seen on geekbench 4.1 version, this means a leak of the prototype.The three pixel replacement unsurprisingly will be powered by Qualcomm’s Snapdragon 835 SoC. Normally such a run would reveal (or confirm) the chipset of the device, thanks to the “Motherboard” field in Geekbench’s info page, but this time around that’s listed only as “taimen”. So it’s no use for figuring out the specific system on a chip (SoC), but we do know it’s made by Qualcomm and has an 1.9ghz octa-core CPU. So what could it be? Obviously, unless the Taimen will be mid-range, it’s going to be the Snapdragon 835. And it turns out it will be with 4GB of RAM, the same amount seen in the Pixels from last year. While that’s still the standard amount to see in a flagship (at least in Western markets), perhaps some extra future-proofing would have been nice here (in the form of 6GB). Which gadgets are best for this Christmas ?